A pair of young American Honda-powered Formula F drivers garnered headlines in September when newly-crowned F1600 Formula F Championship winner Jake Eidson and Pacific Formula F Championship contender Joey Bickers were selected as winners of the 2013 Team USA Scholarship program. Bickers, a 21-year-old Californian in his first season of racing, and Eidson, 18, winner of the 2013 eastern US Formula F title, will travel to England in October to represent the USA and take part in both the annual FF Festival at the famed Brands Hatch circuit, and the Walter Hayes Trophy race weekend at Silverstone, home of the British Grand Prix. As the newest members of Team USA Scholarship, Bickers and Eidson follow in the footsteps of previous scholarship winners [and eventual Honda-powered IndyCar drivers] Jimmy Vasser, Bryan Herta, Buddy Rice, Charlie Kimball, JR Hildebrand and Josef Newgarden. The Team USA Scholarship program has been boosting the careers of young (ages 16-22) American racers since 1990. Honda Performance Development has been a proud sponsor of this effort since the institution of the Honda Racing Line program in 2010. More information on Team USA can be found at the organization’s website, www.TeamUSAScholarship.org, as well as on Facebook and Twitter. 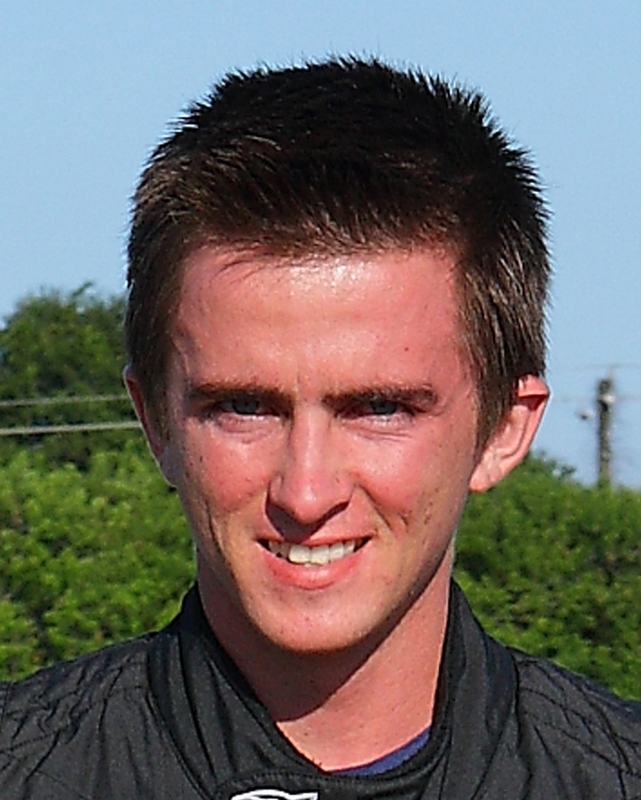 Just prior to being named to the 2013 Team USA, Eidson closed out his successful F1600 Formula F Championship Series title chase with a record-setting seventh victory of year in the season finale at Summit Point Raceway in West Virginia. Eidson began his championship run with a May run four consecutive victories at Road Atlanta, Lime Rock Park (both races) and Mid-Ohio in his Cape Motorsports Spectrum Honda. A sweep of both races in the second Mid-Ohio race weekend then vaulted him into a championship lead the Colorado-based driver would not surrender. 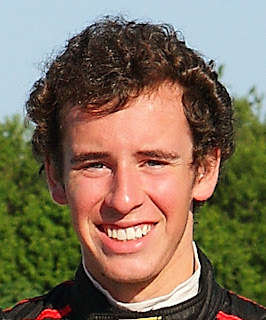 But Eidson faced tough competition all season long from several other young chargers, led by fellow Team USA Scholarship finalists Adrian Starrantino, who swept the opening race weekend at Virginia International Raceway aboard his Bryan Herta Autosport Mygale Honda. Starrantino went on to win two more times – once each at Mid-Ohio and Summit Point – to finish second in the championship. Aaron Telitz has combined one win at Road Atlanta with a series of podium results to finish third in the championship in his Wisko Racing Mygale Honda and also was an early contender in the Team USA Scholarship competition. Additional information on the F1600 Formula F Championship Series can be found at http://www.f1600series.com/. In California, the Pacific Formula F Championship heads to its October 4-6 triple-header season finale in Las Vegas with Bickers battling with Colton Herta for the series title. Herta, the 13-year-old son of former Honda-powered IndyCar and ALMS driver Bryan Herta has followed up a stellar karting career by scoring seven race wins so far in his first season of Formula F racing, and currently holds a 35-point advantage going into Las Vegas. But with 50 points available for a victory, and three races on the schedule for the Vegas weekend, the championship is still very much up for grabs between Herta and four-race winner Bickers, who has combined four wins with seven runner-up finishes to hand tough in the battle for the title. Herta and Bickers both drive Mygale Hondas for PR1 Motorsports, but continue to race each other hard and close as each seeks his first auto racing championship. They also face strong competition from the Lynx Racing Spectrum Hondas of Alex Keys and Andrew Evans and all four “young guns” should be racing hard at the front throughout the Las Vegas season finale. More information on the Pacific Formula F Championship series is available at www.pacificF2000.com. More than 700 SCCA club racers – including a record total of 63 Honda Racing Line drivers – have gathered this week at Road America in Wisconsin for the annual SCCA National Championship Runoffs. Included in that number are 12 Formula F racers utilizing the HPD L15A7 engine, also a record for Honda participation in the revitalized category and making up exactly half of the 24-driver entry. Tim Kautz, the first Honda-powered Formula F National Champion with his victory in the 2012 Runoffs, is back to defend his title in his Piper Honda; along with local favorite Jeff Bartz, who runs a Van Diemen Honda with support from David Hobbs Honda in Milwaukee. Former champion Scott Rubenzer is another to switch to Honda power for his new Spectrum chassis, as is class mainstay Bill Kephart in his unique Vestal Honda. Drivers from across North America qualify for the Runoffs with their race finishes in SCCA National competition throughout the season, but the title “national champion” can only be earned by winning the final race of the season, which this year is celebrating its 50th anniversary and fifth consecutive run at the historic Road America circuit in central Wisconsin. Additional information on the SCCA National Championship Runoffs can be found at www.scca.com.